. We will be delighted to run through your child’s dream party requirements with you and answer any queries you may have. with your postcode and we can quote you today. Yes a deposit is required with a credit or debit card at the time of booking. Parties are booked on a first come first served basis but your entertainer is only reserved for you once your deposit has been paid. What happens if I decided to cancel once I have paid my deposit? Deposits are non-refundable, although we will be happy to transfer your deposit to another party within 3 months of your original party date. We advise that you book your party as far in advance as possible within 3-6 weeks of your desired party date to avoid disappointment, particularly for weekend parties. If you are organising a last minute party we will do our very best to help. Where can I host my party? The location of your party is entirely up to you, whether you chose to host at home or a nearby village hall, community centre, school , nursery or somewhere similar we will bring the party. Just consider the space you have for the number of children you plan to invite and adults too if they are staying for the duration of the party. Will my entertainer need parking? Your entertainer will have a lot of kit to bring into your chosen venue and will therefore need parking nearby, please note that if there is a parking fee at your chosen party venue this will need to be paid upfront to your entertainer. When will my entertainer arrive? Your entertainer will arrive at your venue approximately 20 minutes to get set up and ready before your fabulous party starts. Are boys welcome at a girl’s themed party and vice versa? Of course! The majority of parties are mixed, this is never a problem, we have lots of themes for girls or boys alone or you can mix and match them as much as you would like, i.e. Princess & Pirates is great for a mixed group. What ages are best suited to Ruby Rascals Children’s Parties? Most of our parties are suited for children aged 10 years and under, it’s at these ages that children ‘still believe’ and have an interest in the storybook characters and themes we provide, but of course you know your child best so it’s for you to judge! We have some themes that would be more suited to older children i.e. fashion and make up party/ x factor party. We can always advise you with our great experience of parties. What time should I host my party? Weekday parties can be anytime. For weekend parties we recommend that you chose either a morning party 10:30-12:30pm/11-1pm or an afternoon party from 3pm onwards, although we are flexible with these times and will do our best to accommodate your preferred time depending on availability. How many children can I invite to my party? Our parties are for 30 children maximum this is simply to make your party the best it possibly can be, and your entertainer can then give every child the attention they deserve in a fun and safe environment. Do I need to provide anything for my entertainer? Just a table and plug socket is all we ask, everything your entertainer needs will be provided. Do I need to provide the prizes and pass the parcel? No, leave those to your entertainer, one less thing for you to worry about. We provide a pass the parcel and prizes throughout your party all you need to arrange is the birthday food and any party bags you wish to give the children at the end of your unforgettable party. Can parents take photographs/videos at the party? Most definitely, smiles and memories are made to be captured! Feel free to post any on our Facebook page! * Please note: All characters provided by Ruby Rascals are NOT the copyrighted, licensed or trademarked ones you may know or be familiar with. Our characters are representations of beloved classic fairytales and we do not wish to violate or infringe upon any copyright laws. We do not claim to be associated with any company or group that may own the rights to similar characters or stories and we ask that all of our clients understand this. 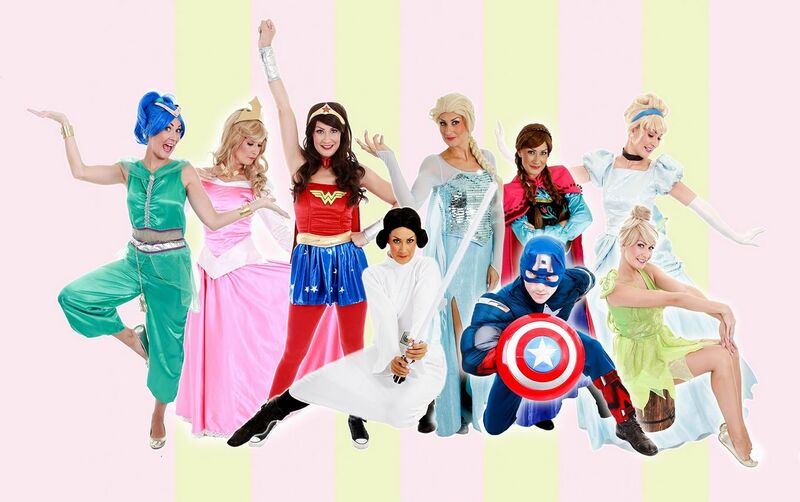 Ruby Rascals specialise in themed children’s parties because we believe dreams really can come true! Click here to find out more. Get in touch via our contact page so we can discuss organising a party for your special occasion.